The minimum requirements for the PC system for Battlefield V have been announced just five months before its release, thanks to the entry in EA's official Store Origin. Although EA has not yet specified the recommended PC system requirements at this time, there is a good chance that they will also use Battlefield 1 and Star Wars: Battlefront 2. In this case you need a better processor (AMD FX 8350 Wraith or Intel Core i7 6700), double the memory (16 GB RAM) and a newer graphics card with more graphics memory (AMD Radeon RX 480 4GB or Nvidia GeForce GTX) 1060 3GB)  You can pre-order Battlefield V in two different editions – Standard Edition or Deluxe Edition – all over the world. While both editions give you some pre-order bonuses and access to the open beta, the latter's advantages over the ex version include a two-day early access and more customization options. The Battlefield V Standard Edition costs Rs. 3,375 on PS4, Rs. 3,499 on Origin for PC, and Rs. 3,500 on Xbox One. The Deluxe Edition costs Rs. 4,499 on PS4, Rs. 4,799 on Origin for PC, and Rs. 4,800 on Xbox One. Physical copies are, as always, more expensive. If you subscribe to EA Access or Origin Access, as of October 11, you will receive 10 hours and 10 percent off the sticker price. 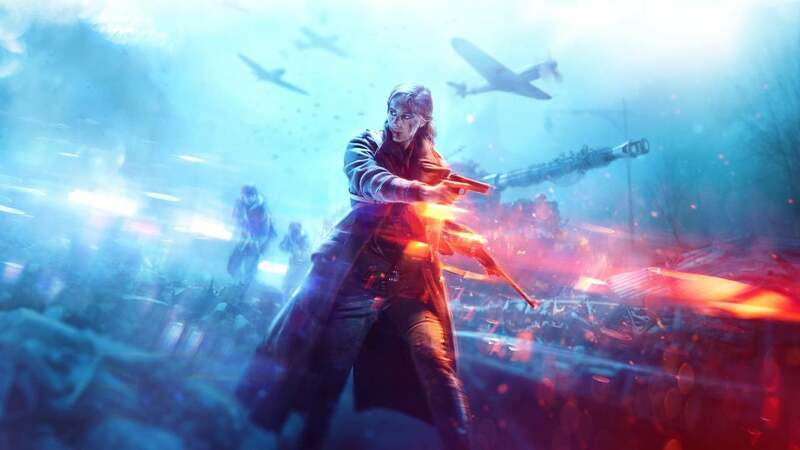 Battlefield V is out on October 19th.